A lot goes into making sure that new units are filled at Anawim Housing; no one knows that better than Director of Property Management, Monica Muhammad. Before Christmas, Monica was able to fill all but one or two of the 28 new units at Forest and Fields. The new units had a long list of interested tenants just after construction and it was Monica’s job to go through those applicants and find the ones best-suited for this type of unit. Tenant follow-through is what she looks for the most in her applicants. Whether or not they are able to be serious and responsible by bringing in the proper materials tells her a lot about them. The more qualified and responsible they are, the more likely it is that the applicants will become good tenants in the future. 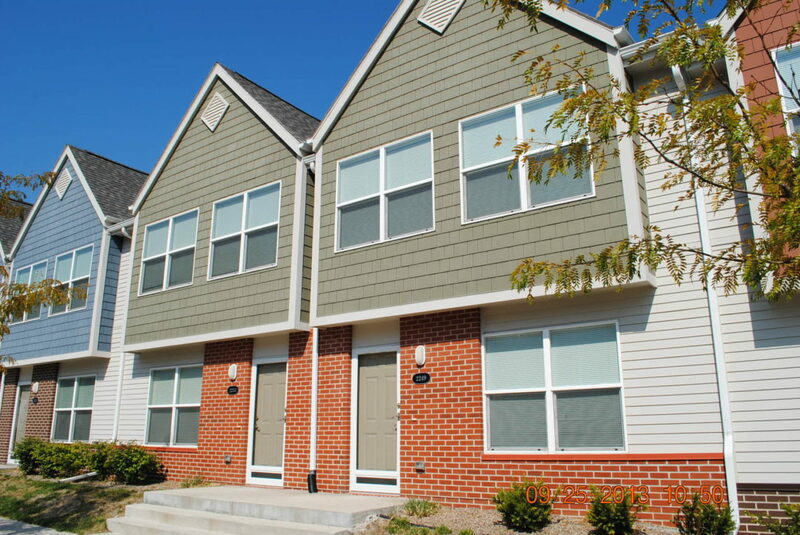 The three-bedroom units at Forest and Fields are well-equipped with appliances and heat and are very affordable. Some tenants’ goals were to find a place that was brand new, but for all it’s a chance to find a place that they can call home. Monica was even able to give a couple homeless families a chance in the Forest and Fields units. For these families, the joy that they feel can be overwhelming; they cry at the sight of their new home, and Monica cries with them. In that moment, she becomes a part of their story as she shares in their joy. Because of the hard work and dedication of Monica and the Anawim staff, many families had a new home for Christmas. For some, the privacy of Forest and Fields was a blessing; they had a place to just be with their families in this new home. For others, it gave a place to celebrate with not only their families, but their friends the joys of having that place that they can call home.